The Friuli is Italy’s most north eastern region, and at one time was two separate regions the Friuli and the Venezia Giulia. The Friuli is known for its white wines, although merlot is one of the most planted grapes. The wines of the region are also produced in a large part from non-Italian grape varietals as it shares boarders with many other countries in Europe. I myself tend to stick to the native grapes of the region and shy away from the typical merlot, chardonnay, and sauvignon blancs. Although usually non familiar to the everyday wine drinker these wines can offer truly new and unique wine experiences that are worth a try. Cialla is a small D.O.C. 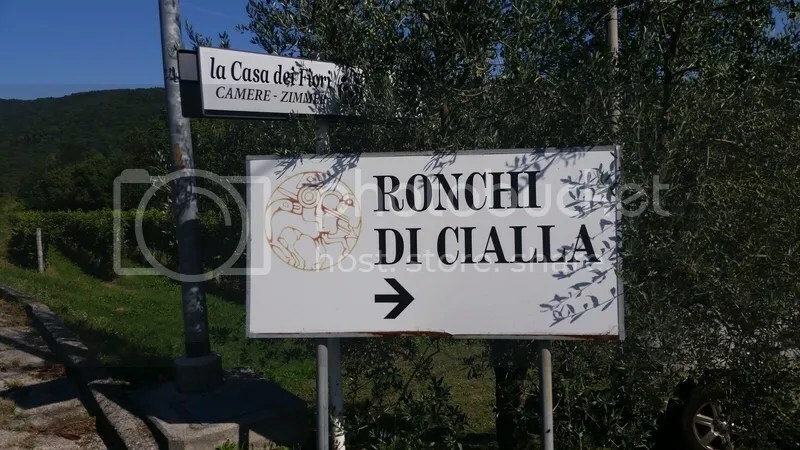 appellation in northern Friuli occupied by one singular winery, Ronchi Di Cialla. Dina and Paolo Rapuzzi founded Ronchi Di Cialla in 1970. 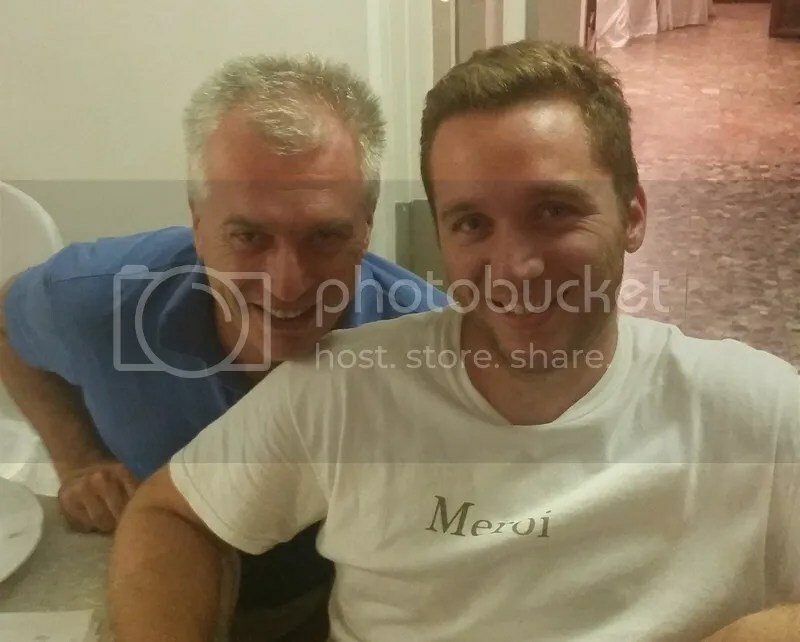 Now over seen by their two sons Pierpaolo and Ivan the winery produces Friulian whites of extraordinary quality. The family’s house which dates back to the 800’s sits on top of the hill of Cialla just below the Slovenian Alps with breathtaking 360 degree views. We meet Pierpaolo and his mother Dina for lunch inside their beautiful family home. Again we were treated like family as we sat down to a meal hand cooked by Dina herself. Pierpaolo paired his mother’s meal with an amazing tasting of the many wines Ronchi Di Cialla produces covering their current vintages to older bottles from the family’s private cellar. Although every wine they produce is of fantastic quality the Ciallia Bianco is by far my favorite, a white wine of amazing complexity that can be aged for 15 plus years in cellar getting better and better with age. The Meroi family owns 35 hectares of fine, old vineyards in the Colli Orientali del Friuli D.O.C., which has been compared to the Cote de Beaune of Burgundy for its ability to produce world class white wines. The output of this estate is understandably extremely limited, with only a handful of cases making it to each country around the world each year. The father son team of Paolo & Damiano not only manage their family’s winery but run a fantastic restaurant in the Friuli as well. We sat down for a private dinner with the two of them at Trattoria Al Parco after Damiano walked us through the vineyards and toured the production facilities. Meroi only produces the best wines that the grapes and land provide them each year, if that means getting rid of half the harvest they will do it because for them quality not quantity is key. You can really tell Damiano puts his heart and soul into the wines he makes for his family winery and that to me makes them worth every penny. The single vineyard productions (identifiable by their green labels) are true gems. Although in some cases only one or two cases will make it to the US if you have the chance I recommend you buy a bottle as the opportunity won’t be coming around every day. Scarbolo was founded in the 1980’s by Valtor Scarbolo and his father. His white wines are classic representations of the varietals he uses to make them, while his reds express a spicier quality not usually found in most when grown outside of the Friuli. Valtor has a true love and passion for pinot grigio, aiming to produce bold flavorful wines from the grape as he feels to many vineyards try to obtain quantity not quality out of what can be an amazingly expressive varietal. 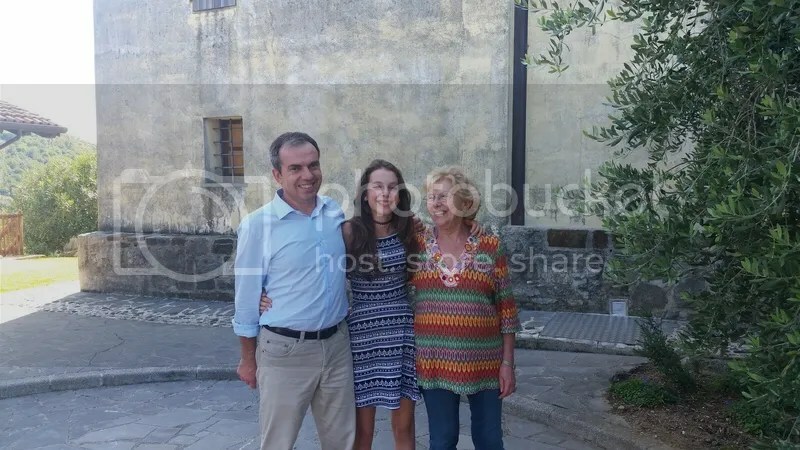 The Scarbolos’ like the Merois’ also own a family restaurant (Trattoria La Frasca) and we were lucky enough to join Valtor and his family for lunch there. The meal of course was fantastic as were the wines and company. The Scarbolos are a truly charming family with a strong dedication to their wines and their family. The winery at Castello di Rubbia is managed by the Cernic family. They produce small quantities of indigenous grape varieties on their 13 hectares of vineyards. The family is largely dedicated to preserving the history of the town of San Michele del Carso where the vineyards are located. Even working to turn the dilapidated castle found on the property into a music academy once the restoration is complete.